As teachers, most of us have more content than we can possibly teach well, let alone cover, in the time allotted to us. Time has always been our enemy, but now we see 1:1 on the horizon, and a blended classroom promises to alleviate much of that stress. It is easier to flip, differentiate, assess, and grade than ever before. But with these blessings comes a new burden—the burden of teaching our students to behave responsibly in the digital realm. We must now teach our students digital citizenship. There are many components of digital citizenship, but I would define it simply as learning to behave responsibly in the digital realm. Students should maintain respect for one another and their devices at all times. They should refrain from harmful language and cyber-bullying. They should clean and care for their devices. Students should understand that people they encounter online are not their friends and that conversations with friends online are not private. They should know never to disclose personal information such as location and passwords. They should understand the danger of meeting someone they met online in the real world. Students should be aware of intellectual property laws and understand how to properly credit a source. They should understand that illegal downloading and sharing is theft. Students should understand that anything that they share, text, or upload will not go away. They should be aware of the permanence of their digital reputations and that it will stay with them for the rest of their lives. Students should be responsible with their internet use. They should not allow the digital world to consume them at the expense of real-world relationships. They should also be responsible with the sources they choose to trust and practice fact-checking. 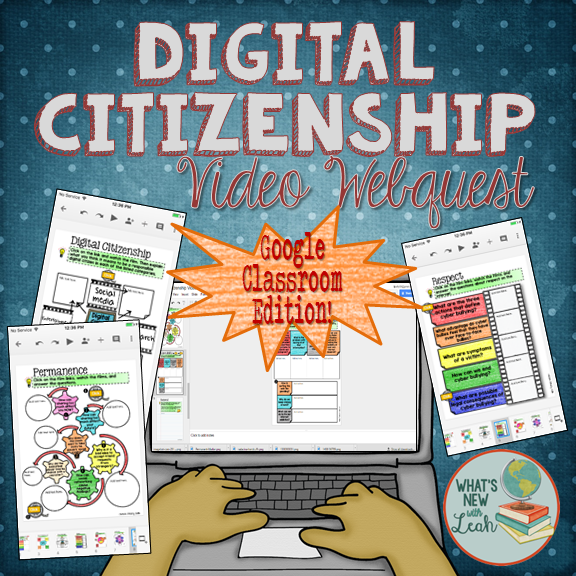 Download this FREE Sign (in color and black and white) and accompanying note page to remind students about the importance of these five components of digital citizenship for free HERE. 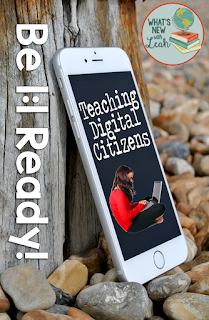 I spoke to other teachers (the type in the trenches) who are going 1:1 this fall about the need to teach digital citizenship (they all have blogs that I find immensely useful, so I’ve linked to them for you below, just click on their names), and here’s what they had to say. Have you all seen the new ISTE standard 2 for digital citizenship? It's really intense wording. "Permanence of my actions" "legal and ethical behavior" "obligations of sharing intellectual property" "maintain digital privacy and security". They aren't messing around. Starting the school year with digital citizenship when you're in a 1:1 classroom is so important to setting expectations. I try to instill the values in my students about credibility and what to believe online. Danielle has an excellent point. How many of your students believe everything that they see online? The infamous Pacific Northwest Tree Octopus is a clever example of that. We must teach our students to be discerning—now more than ever in this age of information overload. As we use more digital teaching tools in the classroom, it is important to also teach our students about digital citizenship. Today's youth need to know the written, as well as the unwritten, rules of the Internet so that they can be effective and productive collaborators in the digital world. 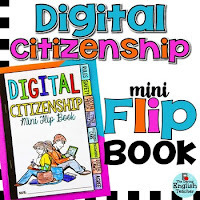 I will teach digital citizenship to my students this year by introducing them to a Digital Citizenship Mini Flip Book. 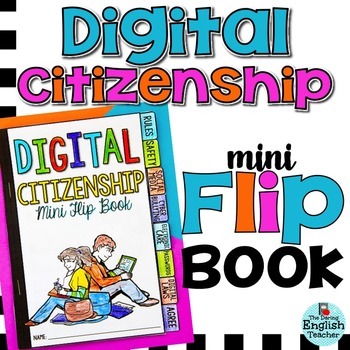 This mini flip book will cover different aspects of digital citizenship, from laws to passwords, so that they can be digitally aware. This is an AWESOME flipbook. My free sign and notes offer a brief reminder to students about citizenship, but Christina’s flipbook is very detailed. I’m going to have my students keep a copy in their paper interactive notebooks. I really like that it has a place for students AND parents to sign. You can get a copy of it HERE. 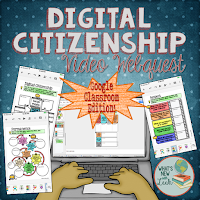 I have a Digital Citizenship Video Webquest, as well that encourages students to look into some important issues surrounding digital citizenship. The films are short and engaging and students are guided in responding thoughtfully to each one. You can get it HERE. 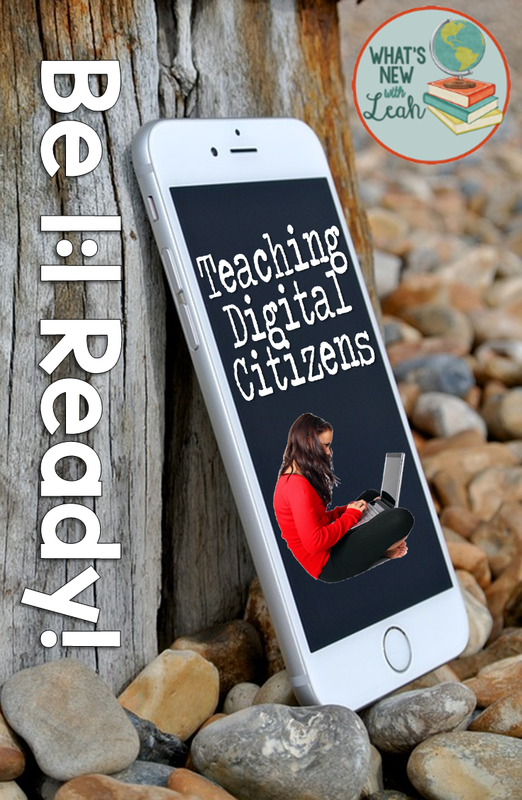 Will you teach Digital Citizenship when school starts? If so, how will you do it? Leave a comment below to let me know!